DTE Energy Services Inc. has finished its construction project to convert a shuttered coal-fired power plant at the Port of Stockton to operate on biomass fuel. The plant, known as Stockton Biomass, began commercial operations on Feb. 21. Anaergia Inc. and its project partner Grannus LLC have been selected to enter negotiations with the Pima County Regional Wastewater Reclamation Department in Arizona to design-build-finance-own-operate a large-scale biogas upgrading facility. 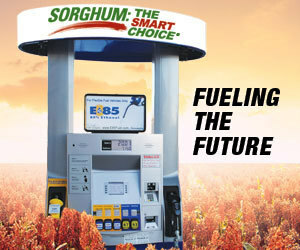 The U.S. EPA has published a notice to its website announcing that it is taking action to improve the petition process for new renewable fuel pathways under the renewable fuel standard (RFS) program. The U.K. Green Investment Bank has announced its support for several bioenergy projects in recent weeks, including investments in a waste-fueled power plant and a project to install biomass-fired boilers. The Sierra Nevada Conservancy Governing Board has approved grant to support a project that will manufacture wood chip fuel for Plumas County public facility boilers. Construction on the project is scheduled to begin in June. On March 17, KiOR Inc. filed its 2013 annual report with the U.S. Securities and Exchange Commission, reporting doubts about its ability to continue operations. The company also announced it has idled its Columbus, Miss., plant. France-based Deinove has released its 2013 financial results, reporting progress with increased research and development efforts. The company highlighted efforts for its biofuel-focused Deinol program and its biochemical-focused Deinochem platform. A recently released USDA report tells the story of more than $33 million in investments to support rural businesses, infrastructure and housing in 2013. A new interactive website map also features funding information. Environmental Entrepreneurs (E2) has published a new report on clean energy jobs, reporting that bioenergy and biofuel projects created thousands of jobs last year. New landfill gas-to-energy project under development in S.C.
Lockhart Power Co. and Pacolet Milliken Enterprises Inc. have announced plans to develop a landfill gas-to-power renewable energy facility at the Republic Services Inc.'s Upstate Regional Landfill near Cross Anchor in Union County, S.C.
Wood as a main heating source in homes has gained popularity in many areas of the country in recent years, but the increase is most notable in the Northeast. Nationwide, about 2.5 million households use wood as the main source of heat. Following the January decision by the Ninth U.S. Circuit Court of Appeals to deny rehearing en banc in the litigation regarding California's Low Carbon Fuel Standard, two ethanol trade associations are taking the fight to the U.S. Supreme Court. Dyadic International Inc. has released its 2013 financial results, reporting total revenue of $17.1 million, a 10 percent increase over 2012 revenue of $15.6 million. Net product related revenue increased by 25 percent, reaching $9.8 million. The USDA Farm Service Agency recently announced the expansion of its Farm Storage and Facility Loan program, which can provide low-interest funds to build or upgrade permanent facilities to store eligible commodities, including renewable biomass. Big Island Carbon LLC's biomass power plant and activated carbon facility in Hawaii are scheduled to be auctioned off by Tiger Remarketing Services and Aaron Equipment on April 4. Big Island Carbon filed for Chapter 7 bankruptcy in November 2012. A new report published by the Nicholas Institute for Environmental Policy Solutions at Duke University seeks to uncover under what conditions a substantial, decentralized domestic biogas market could develop in the United States by 2040. The Valmet Corp.-supplied gasification plant at GoBiGas (Gothenburg Biomass Gasification Project) was inaugurated on March 12 in Gothenburg, Sweden. The plant will produce gas by gasifying forest residues and wood pellets. Researchers from Michigan State University, U.S. DOE's Joint Genome Institute and Lawrence Berkeley National Laboratory have published the largest soil DNA sequencing effort. The data was later applied to study biofuel feedstocks. Farmer and community meetings are underway this week in North Dakota laying the foundation for industrial beet production. Also known as energy beets, the varieties are bred for industrial sugars that can be converted to biobased fuels and chemicals.